Cliches become cliches for a reason: they work. This post contemplates how art can be used to make statements that sometimes can’t be made in words. 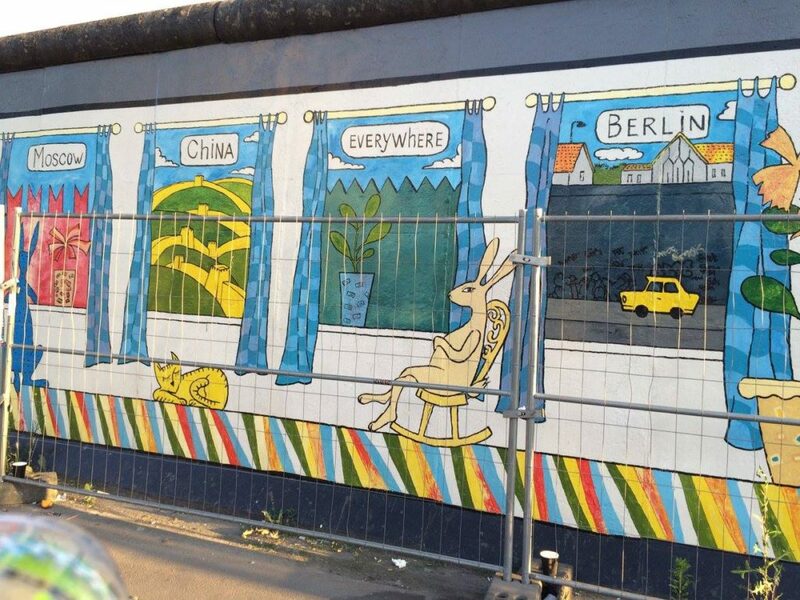 While in Berlin during this trip, Macy and myself made sure to check out the Berlin Wall. 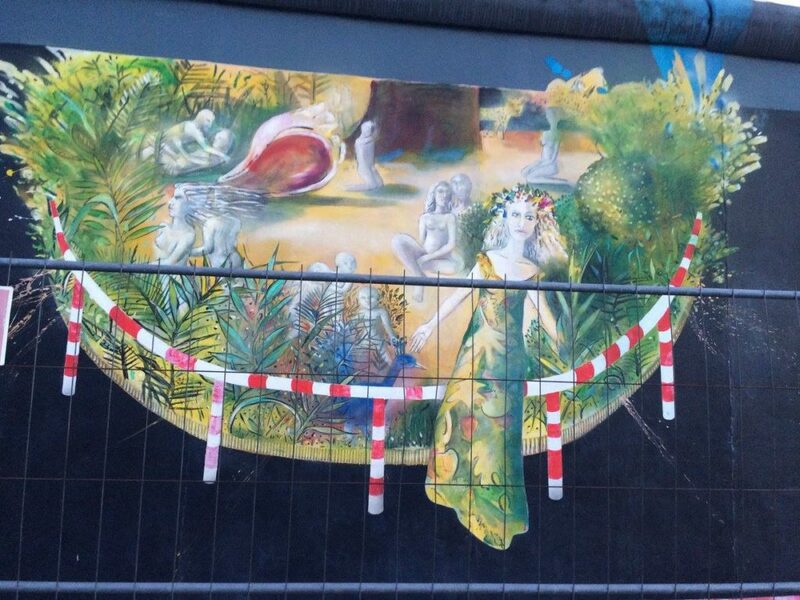 Berlin is recognized for its street art scene, especially the illustrations on what remains of the Berlin Wall. 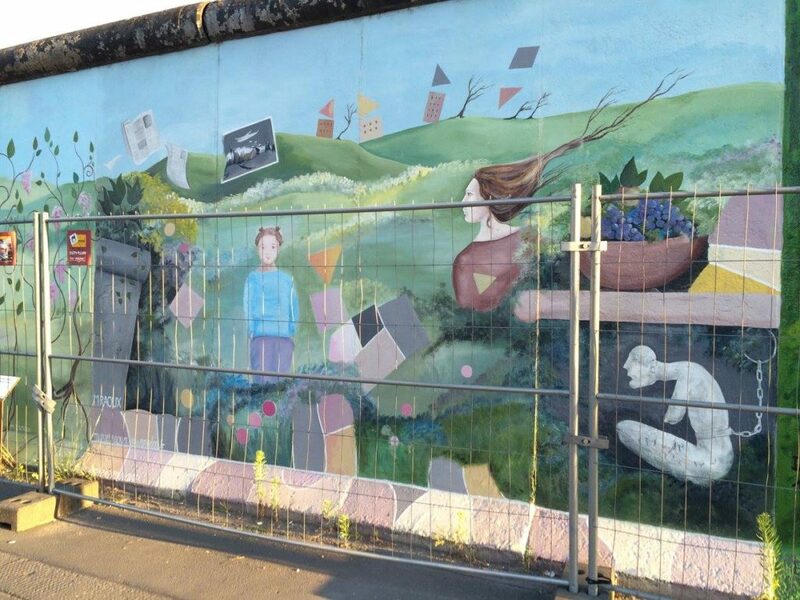 Artists on the western side of the wall used the wall’s expanse to show their distress at the separation of Germany. The eastern side of the wall was blank until the wall fell, since anyone who approached the wall from the east side was ordered to be shot on sight. 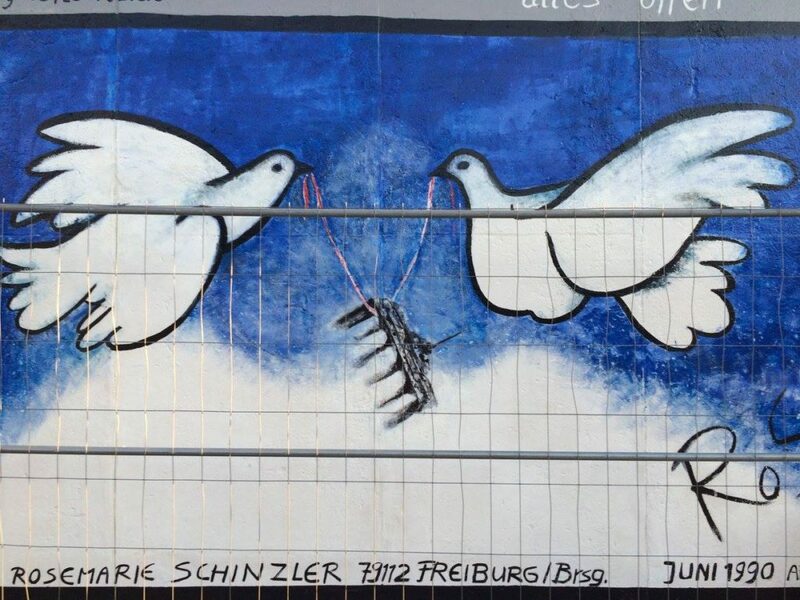 Following the wall’s collapse, artists decorated the eastern side of the wall to memorialize their captivity. Here are just a few samples of the art in Berlin’s East Gallery that I photographed on my visit. 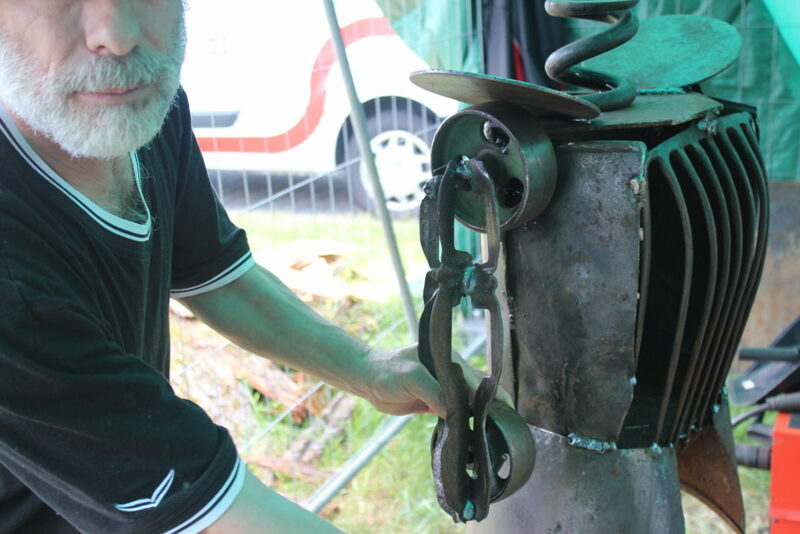 A small group of refugees in Viernhiem Germany gets together twice a week to collaborate on sculptures. The refugees from Afghanistan and Syria, along with H_Da student Torstan, couldn’t communicate with each other at the project’s start. Over time, they have picked up bits and pieces of each others languages, cultures and skills. All of the men had some prior welding and experience as craftsmen that in working together creates a unique blend of styles. When we visited this self-proclaimed group of non-artists, they were working to finish two sculptures. Photos—with the exception of the first image—were taken by Mitch Ogden. 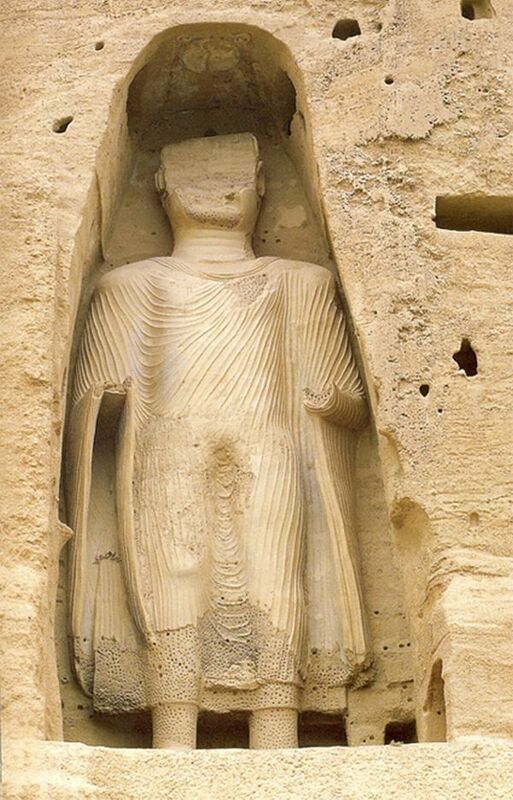 The smaller of the two Buddha statues in Bamiyan, Afghanistan before the Taliban destroyed it. Before their destruction in 2001, these were the tallest Buddha statues in the world. Abdullah’s recreation of the smaller Buddha from Bamiyan. 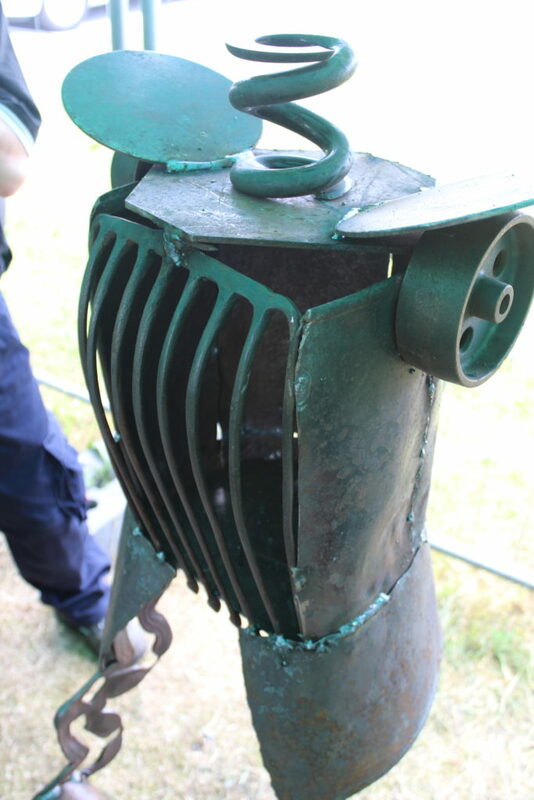 The bust of an ancient Roman soldier, welded by the group. One leg can be seen in the lower left of the photo. When completed, a head will top the spring and two arms will be affixed (one to the circular piece on the right). How the arms will look once affixed. This arm will be holding a sword dropped at the soldier’s side, showing he is done fighting, exhausted by war. The idea behind the sculpture was that everyone can relate to it, because no one wants war. They titled their creation Salaam, meaning peace in Arabic. Language is a powerful tool, but sometimes visuals work better. Most of the refugee men working on these sculptures didn’t seem comfortable with their grasp of German or English. 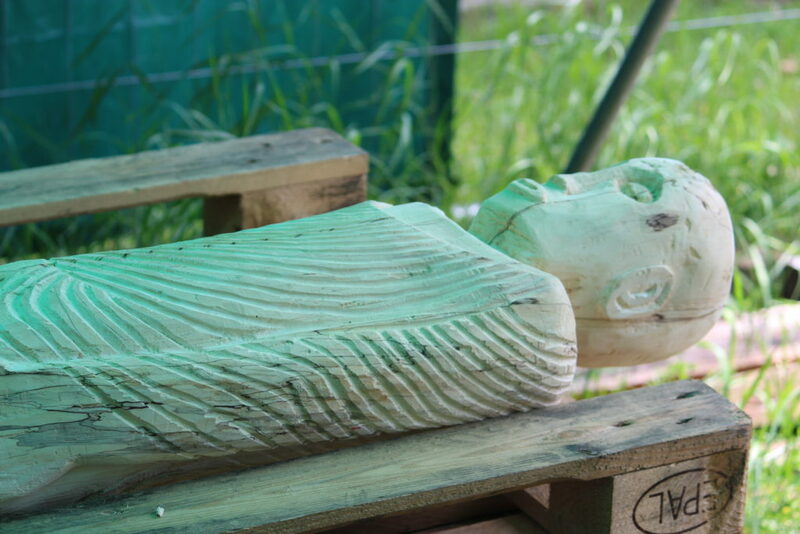 These sculptures can send their message out into the world, maybe bring them a sense of peace and control. Like the mostly wordless messages on the Berlin Wall, these sculptures can make a statement today with the power to cross language barriers and into the future.